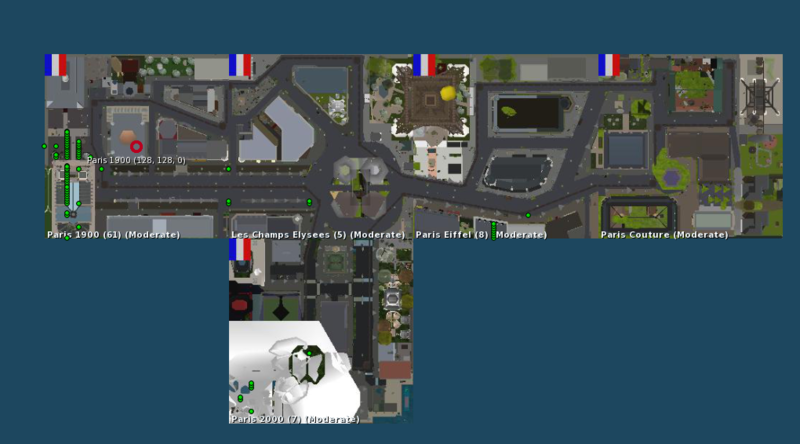 This week the lab added a number of water regions north and south of the new Bellisseria continent (new Linden Homes) in Second Life. 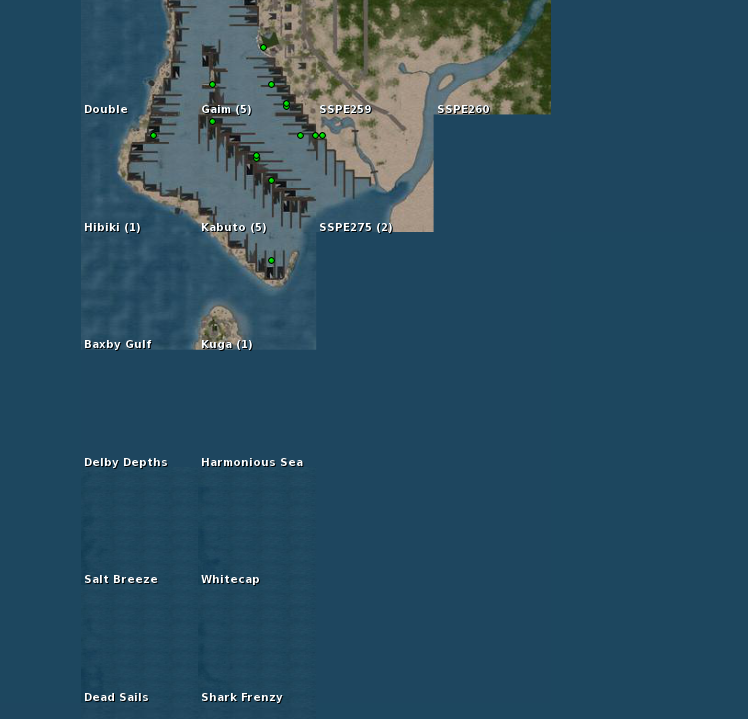 You can now go straight from Heterocera to the Sansara continent (top) through the new Bellisseria continent (middle) then down to the Jeogeot continent (bottom) or the other way around. This means you can now fly, walk, boat or even walk between all four continents now. Last night It was heartbreaking to see live coverage of the Notre Dame in real life on fire. The spire collapsed and the roof caved into the famous 850-year-old building. It took around 15 hours for the firefighters to fully extinguish the fire. The good news is that the main stone structure and the two towers survived. 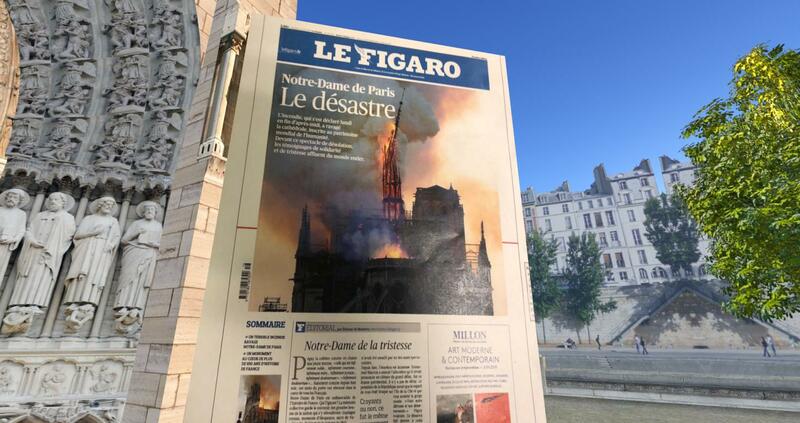 The cause of the fire is not yet clear but what is clear is that the cathedral will be fully rebuilt in the near future. 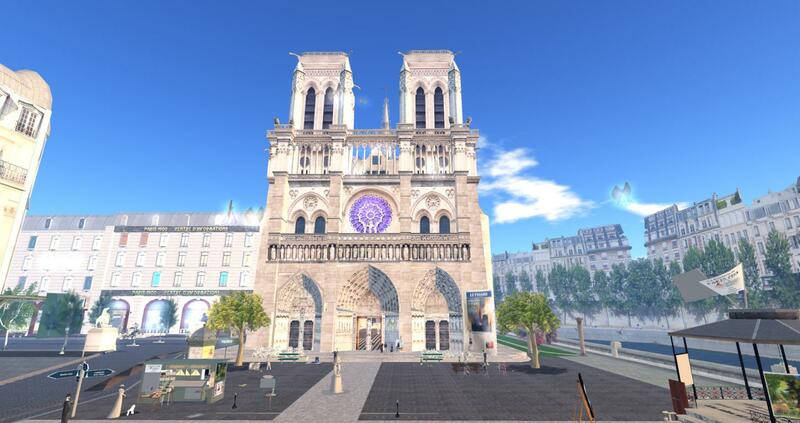 In Second Life last the virtual Paris 1900 region filled up pretty quickly with a large crowd gathering at the virtual Notre Dame. The region was full including the nearby regions. 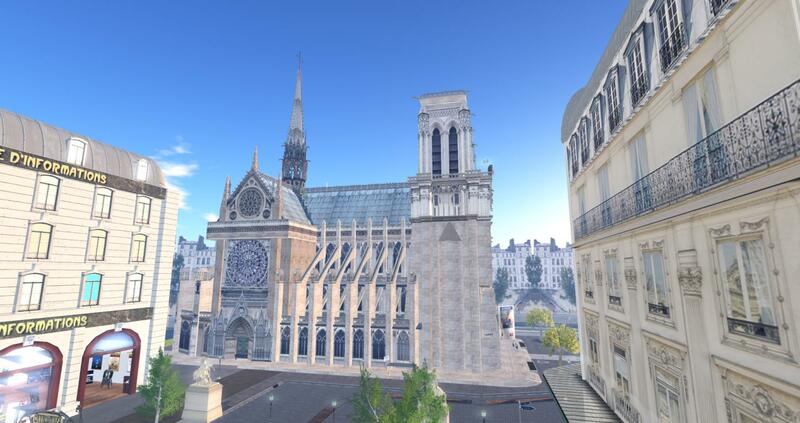 There is still a large crowd gathering right now inside the virtual Notre Dame as I write this blog post. Today Linden Lab have officially announced the fresh new Linden Homes with new themes and larger options. The first of several planned Linden Home updates launches today exclusive to Premium members apparently. The second generation of Linden Homes are now finally here. 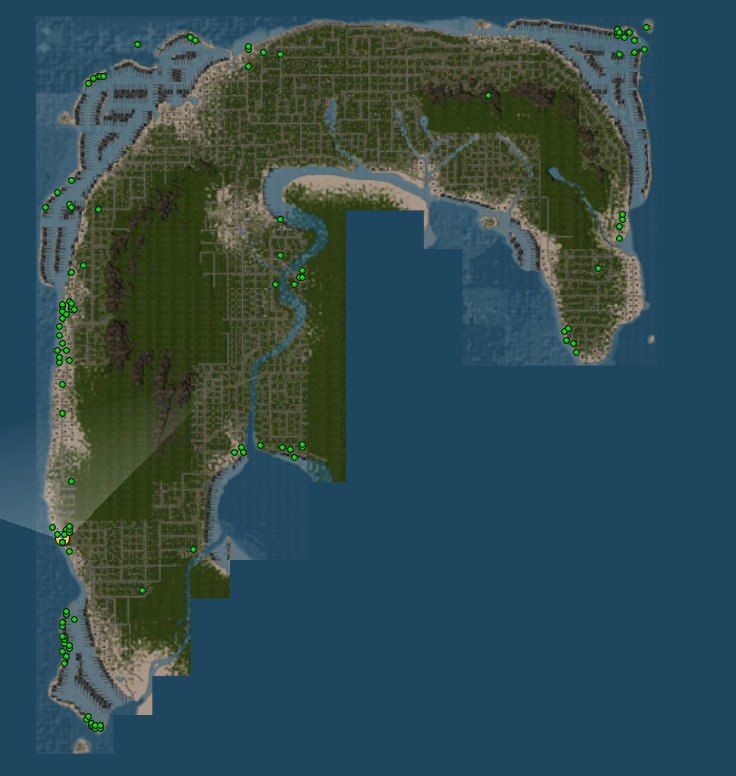 The new continent named Bellisseria has 384 regions currently and it’s to set to get much bigger soon. 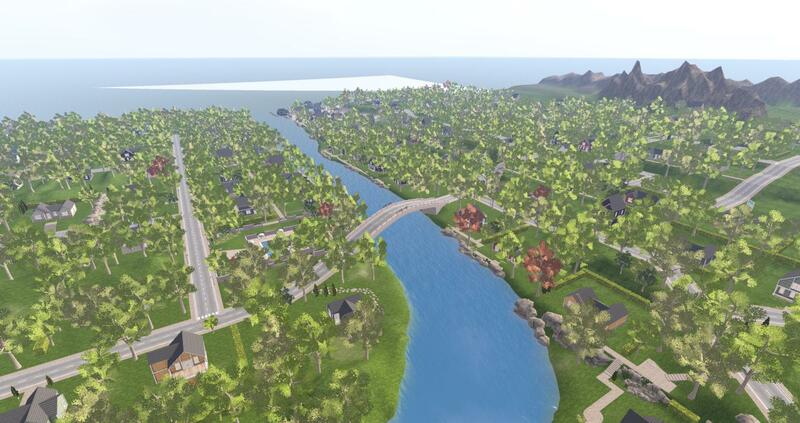 The old Linden Homes will be phased out over time but there’s no rush just yet. There is a brand new Linden Homes wiki page full of useful information to get started from signing up to get a Linden Home, home themes, house controllers and much more. 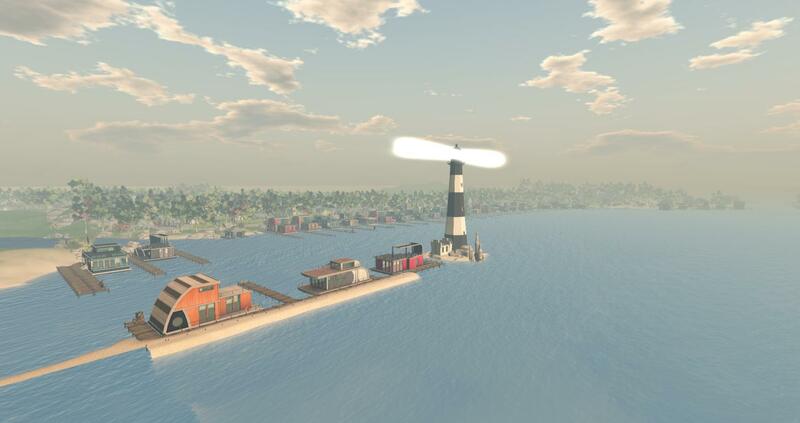 One of the many benefits of becoming a Premium Second Life member is access to an automatic waiver of the monthly land fees for a Linden Home or 1024m² tier allotment for use towards a parcel on the Mainland. A pretty incredible perk, but it was time to make it even perkier. 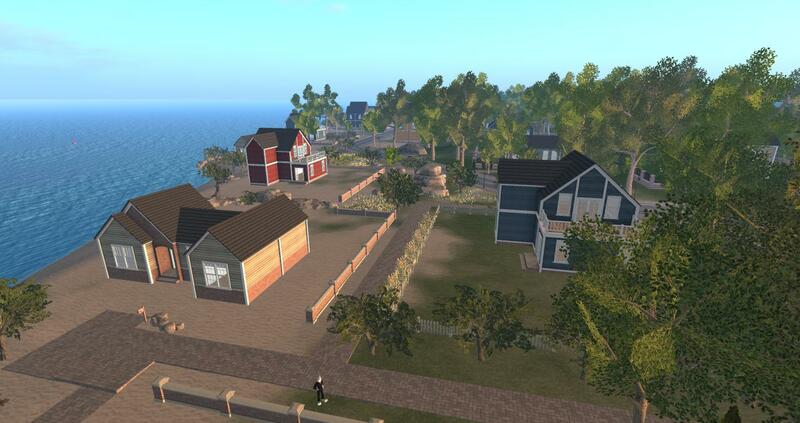 Let’s be honest – those Linden Homes from 2010 were long overdue for some updates and improvements. It was clear a fresh coat of paint and some new landscaping were just not going to make the amount of curb appeal we were shooting for. In fact, it was time to return to the drawing board and start a better-built Linden Home experience, from the ground up – literally. 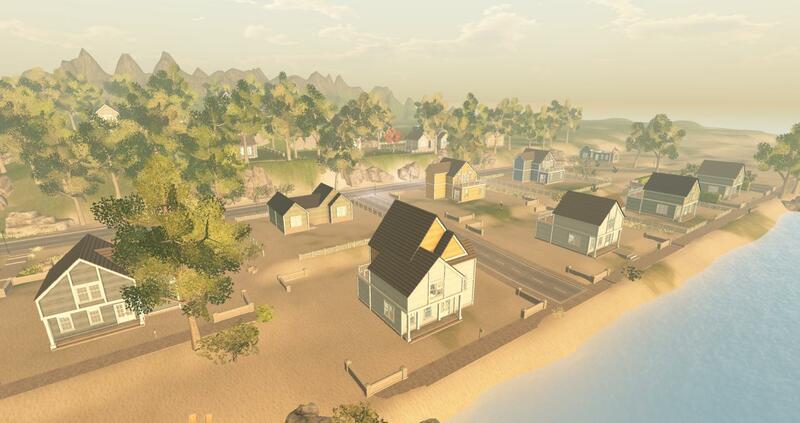 There are two new themed styles in this release – Traditional and Houseboats – and some are twice as big as previous Linden Home offerings. Depending on the theme chosen home parcels will be either 1024 sq m or 512 sq m apparently. 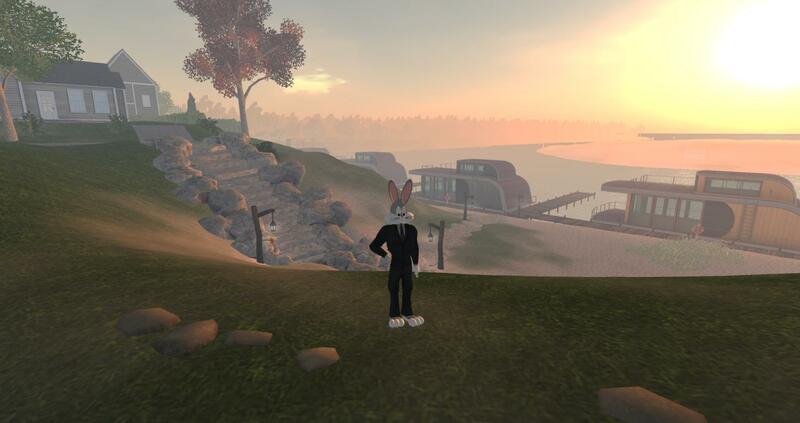 Unlike the first generation of Linden Homes, which offered themed areas on separate Regions, the New Linden Homes blend themes across the entire continent. Depending on the theme you choose to live in, your home’s parcel may be either 1024 or 512 sq m. Your house might overlook houseboats along the ocean or might be inland in a traditional suburban neighborhood. Wherever you live, you will be within range of recreational and shopping areas and will be able to travel around the continent by car or boat if you wish. 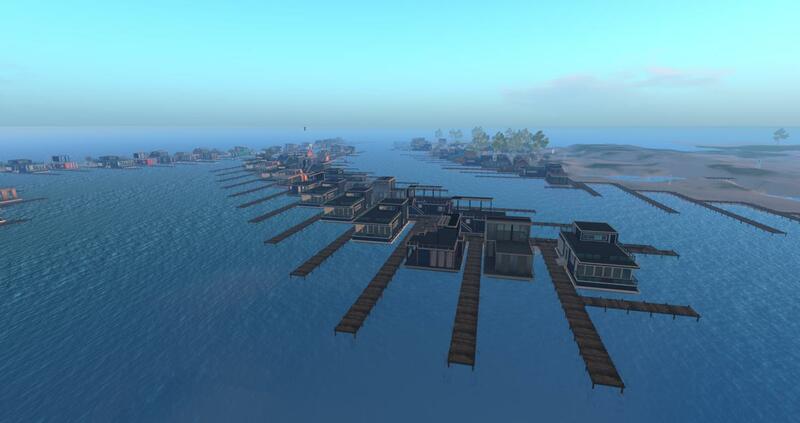 First preview of the new Bellisseria continent, new Linden Homes and new Houseboats. The new Bellisseria continent opens. It’s expected the new south expansion will happen in the months ahead. 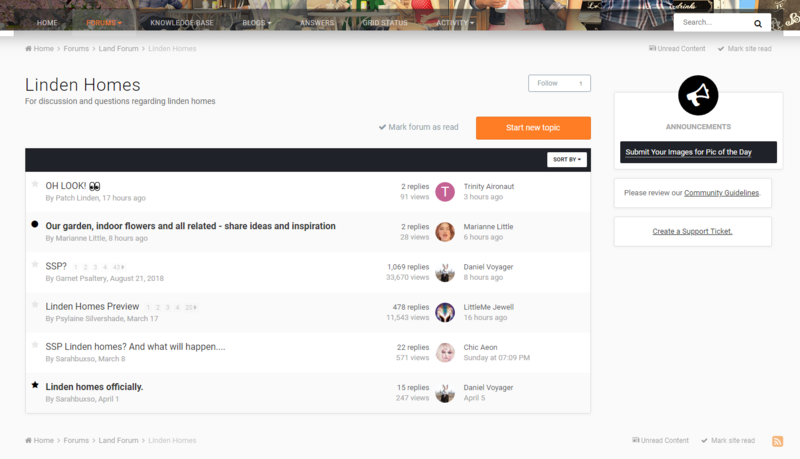 After weeks of waiting Linden Lab has finally added a brand new Linden Homes sub forum section on the Second Life Forums. 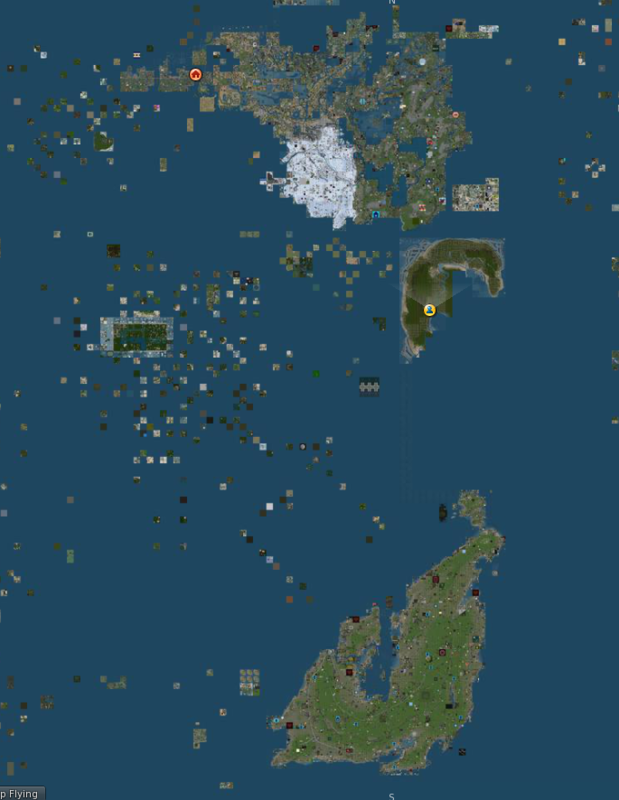 In recent months and weeks there many active SSP/Linden Homes threads all over the place but now it’s been all moved to one handy section. 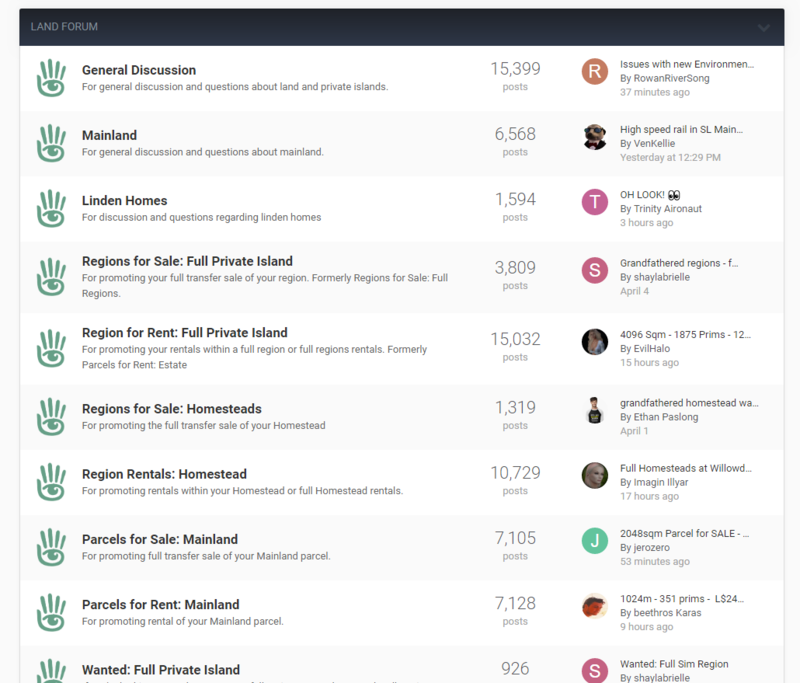 Linden Homes appears under the Land Forum when you scroll down the page. 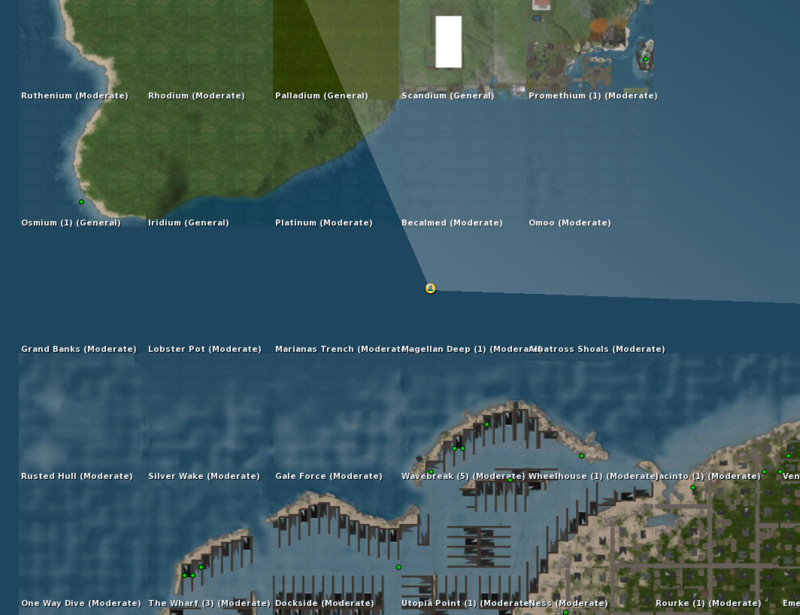 Here is the new Linden Homes section showing the latest threads relating to the new Linden Homes project/continent.